Francis Schaeffer (30 January 1912 – 15 May 1984) has long been one of the most popular Christian philosophers and theologians, even after his death in 1994. He has written several books and lectured all over the world. 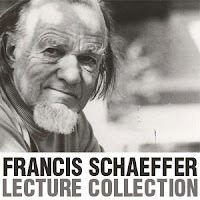 Wheaton College has made available a large collection of lectures by the late Francis Schaeffer. A short list of categories can be found at Apologetics315.